What methods they used to construct their buildings and arrange their fields. Did they conform to 19th Century ‘Improvement ideals’ or did they retail traditional techniques? What crops and garden plants they grew. Did they use any herbs or other plants for medicinal purposes? 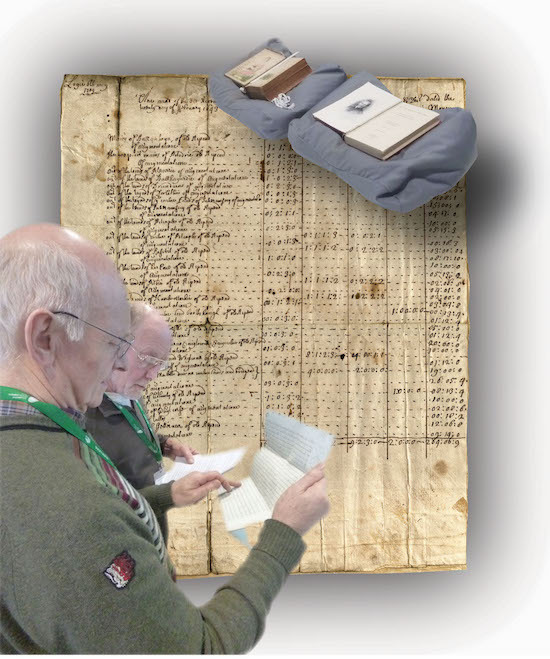 The Archives Group brings together a group of people who have been carrying out research on Bennachie, mainly using the resources of the University of Aberdeen's Special Collections Centre. To help them co-ordinate their investigations, they meet regularly and share resources and ideas on an intranet known as "MyAberdeen". Members of the group are working on a variety of topics which will be individually published in a variety of publications and which contribute to the outreach activities, such as the exhibition, organised by the Bailies and its Bennachie Landscapes Project. New members are always welcome to join the archives group. Note: "My Aberdeen" is provided by the University of Aberdeen as part of its partnership with the Bennachie Landscapes Project. As a virtual shared desk space, access is restricted to members of the Archives Group, letting them share copyright restricted material, working papers and tentative ideas.